Loyd E. Tjernagel, age 83, of Hutchinson, Minnesota, passed away on Wednesday, November 28, 2018, at Harmony River Living Center in Hutchinson. Memorial Service will be held on Saturday, December 8, 2018, at 1:00 P.M. at Peace Lutheran Church in Hutchinson. A Gathering of Family and Friends will be held two hours prior to the service at the church. Loyd Ernest Tjernagel was born on July 8, 1935, in Randall, Iowa. He was the son of Lars and Emma (Anderson) Tjernagel. Loyd was baptized as an infant and was later confirmed at East Norway Lake in Spicer, Minnesota. He received his education at New London High School and received his GED while serving in the United States Air Force. Loyd entered active military service in the United States Air Force on November 19, 1953, in Minneapolis, Minnesota and served his country during the Korean War. He served his four year term, stationed at Scott Air Force Base in Belleville, Illinois. He also served one year on Iwo Jima. Loyd was in crypto maintenance and his last year he was a technical instructor in crypto maintenance. He received an Honorable Discharge on November 18, 1957, and achieved the rank of Technical Sargent. On October 6, 1956, Loyd was united in marriage to Laura Bateman, at State Street Baptist Church in East Saint Louis, Illinois. This marriage was blessed with three children, Teresa, Deborah and Roseanne. Loyd and Laura resided in Hutchinson since October 2015. Loyd began his work life as a Heavy Equipment Operator with Barton Construction in Minneapolis, Minnesota. He then went on to become a Lineman and worked for the Rural Electric Cooperative in Kandiyohi County and later for the Municiple Utilities in Willmar, Minnesota. He then moved to Bullhead City, Arizona where he was Line Superintendent for Mohave County. Loyd was a member of Peace Lutheran Church in Hutchinson, Minnesota. 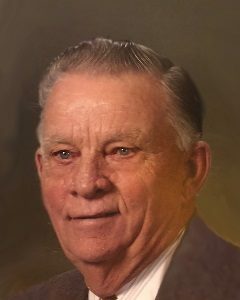 Loyd enjoyed many activities throughout his life such as hunting, fishing, camping, travelling, motorcycles, racing cars, snowmobiles and square dancing, but most of all he loved spending time with family and friends. Loyd passed away on Wednesday, November 28, 2018, at Harmony River Living Center in Hutchinson, at the age of 83 years. Loyd is preceded in death by his Parents, Lars and Emma Tjernagel; Sisters, Lorraine Knutson and her husband Bennie, Ann Nielson and her first husband, Jake VanOrt. Laura and Family, My thoughts and prayers are with you during this time. Loyd was such a kind caring person. I will miss seeing you and Loyd playing bingo and shaking dice. He is now free. RIP Loyd. So sorry to hear of the loss of John’s brother – may he rest in peace.